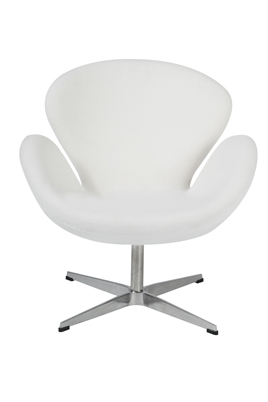 Designed by Arne Jacobsen in 1958, the Swan chair is available in orange and white. It is made of molded synthetic material covered by a layer of foam. The base is satin-polished, welded steel tube and a 4-star base.